If you’re not building your email list then you better not be serious about making money online! Every company and online marketing who wants to make money or more money builds an email list. While just building an email list is step one the core of the money earned is in the follow up with your new subscribers. 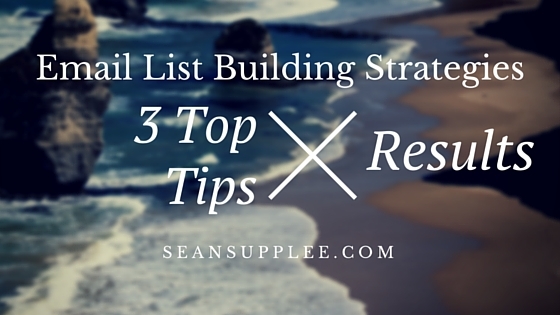 In this post i will be going over a number of key ways to build your email list. Many of these will center around the auto responder system I used myself Aweber. 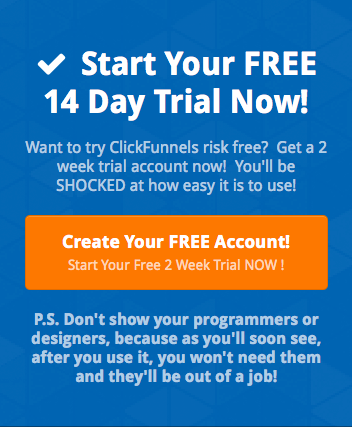 It will also center around a program I use to build out a majority of my business in 2015 and will be launching a few products on it in 2016 called Click Funnels (free 14 day trial by using this link). The methods I go over below are the same methods I have used myself and only the best will be listed. On nearly e very website I create and blog there are popups. But with these new lightbox popups they are not as intrusive and are not blocked by popup blockers. They just flat out simply work! 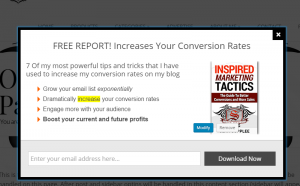 Why you came to my blog you would of seen my popup to get you to optin for my free mini report on conversions. This can also be used on my other static websites to create even more optins for my list however depending on the market of the product the offer will be different to best meet the needs of that type of visitor. What is the single easiest way to become success? Simply take someone already successful and start to model their actions. 1) Run a simple search of your most basic keyword for your niche and find results of what others are doing successful. For myself blogging about affiliate marketing I notice a majority of top ranking blog posts are always a tops list. Top 10 ways to do this, 3 best SEO tips etc. 2) Keyword searching, SimilarWeb will provide some of the most popular keywords driving traffic to that site which you can further dig into and see what post or content is behind the drive and attempt to model it yourself. However if you have an AWords account you can use the keyword tool to run a scan of the site to get best results of what keywords you should go after. 3) Once you have this information visit the website of that competitor and find out how they are converting their visitors. Once a visitor provides you with their information in most cases they still need to go and confirm. This is the key step in getting this person to become an active subscriber. Point out key facts such as exclusive content, limited time content and the need and how to confirm their email address. Your thank you page that loads after optin should have clear pictures and step by step of what needs to be done next. With these 3 big tips you should be able to start maximizing and building your email list quickly. By taking actions each day on these methods you can expect results as early as next day. 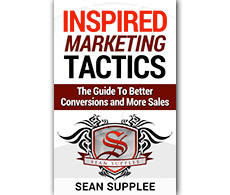 Great info here Sean, thanks for sharing…Cheers! Great post sean, keep with the great info!! Rafael D´Jesus recently posted..100 different ways to increase your sales *New guide – Profit Maximizing!